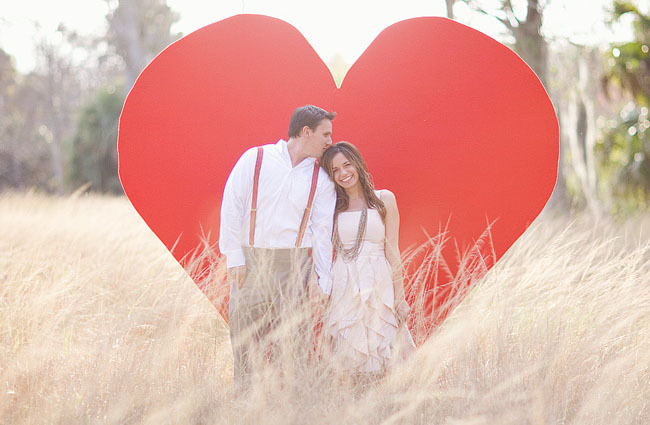 How sweet is this whimsical Valentine’s Day shoot with a giant heart!? It was dreamed up and photographed by Laura Leslie. She made the heart with wood and pieced it together and covered it. Kalia + Brendan are the adorable couple. So sweet! What a great photo shoot! 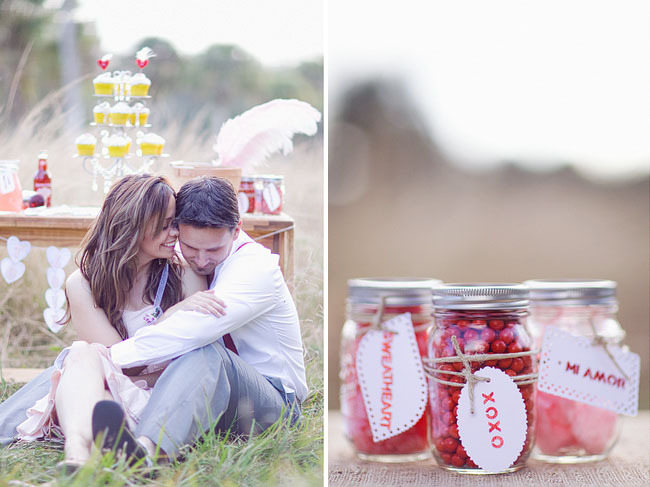 So cute & romantic! Seriously adorable. Even the bowl of cereal is perfect. her dress is so pretty!! love the detail. Ahh! I melt with all the hearts and love!! One of the my fave shoots I have seen! I love her dress, can you please tell us where it’s from? what an adorable idea!! i love all of these! Yes, I love her dress! Where is it from? SO adorable! love the colors, lighting and that couple is just too cute! gorgeous!!! and yes, WHERE IS THE DRESS FROM?! I am just in awe of Laura Leslie and how talented she is — the giant heart she crafted is incredible! This is adorable! I’m featuring it on my Friday dance! So, so cute! So freakin’ sweet. 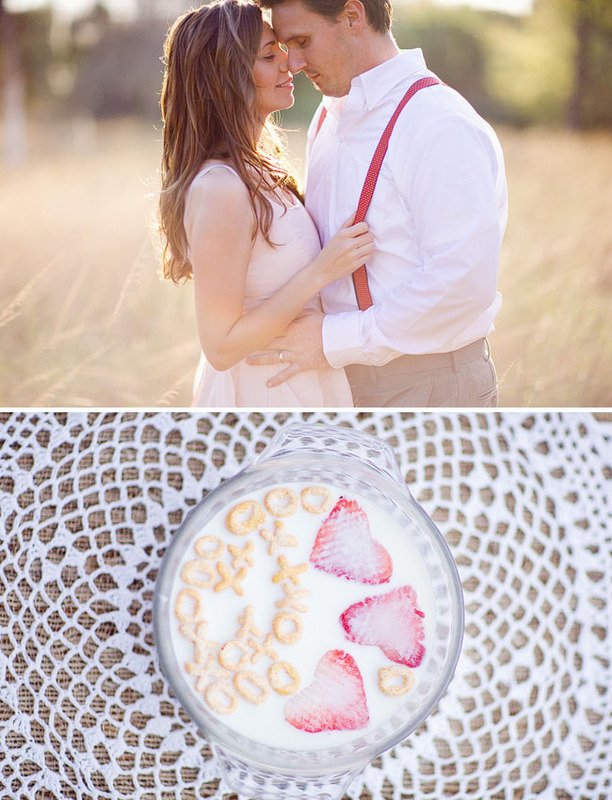 Love all that soft sunflare mixed with all those sweet details! Beautiful! Where is her dreess from???? 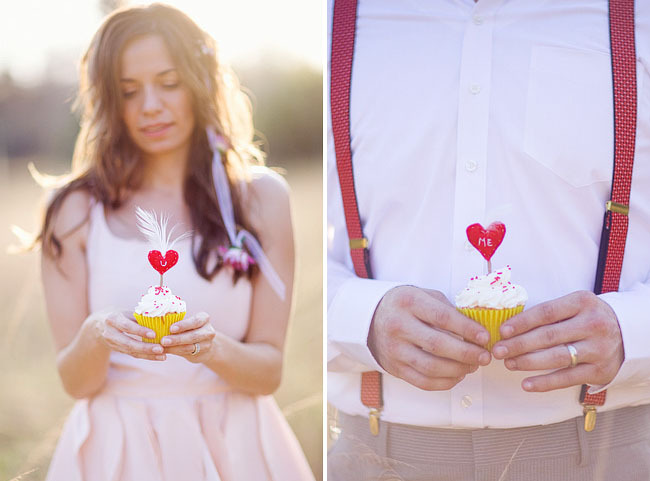 I love all the cute props, especially the cupcakes & feathers! Such a beautiful color combo, very nice change for all of us on the East Coast! Love all the details! You thought of everything!!! Beautiful work!! 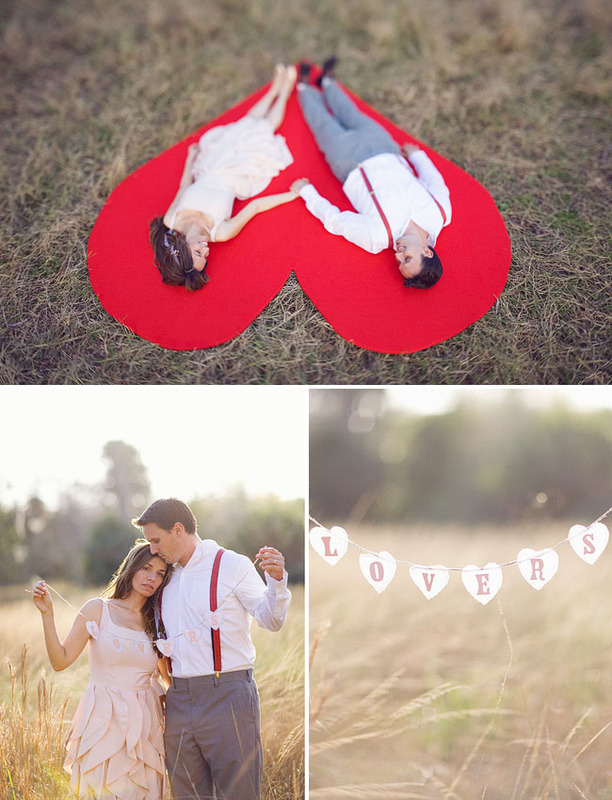 Pingback: Joyful Weddings and Events » Happy Valentine’s Day!! A wonderful couple and also, very romantic !! 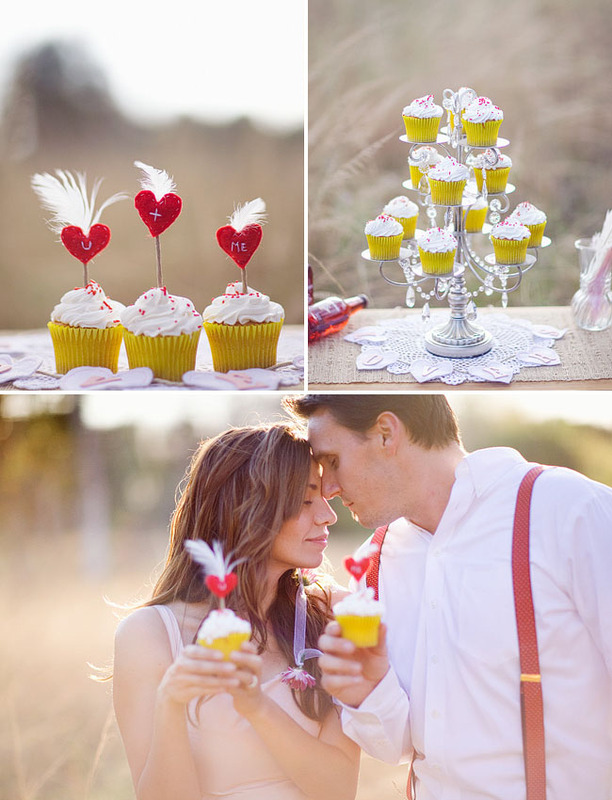 i’ve been trying to find a chandelier cupcake stand for my wedding! where did they find such an elusive item?? Wow such great pictures really like your color and the way you setup some of your shots. Really enjoyed the cute couple and lots of hearts. 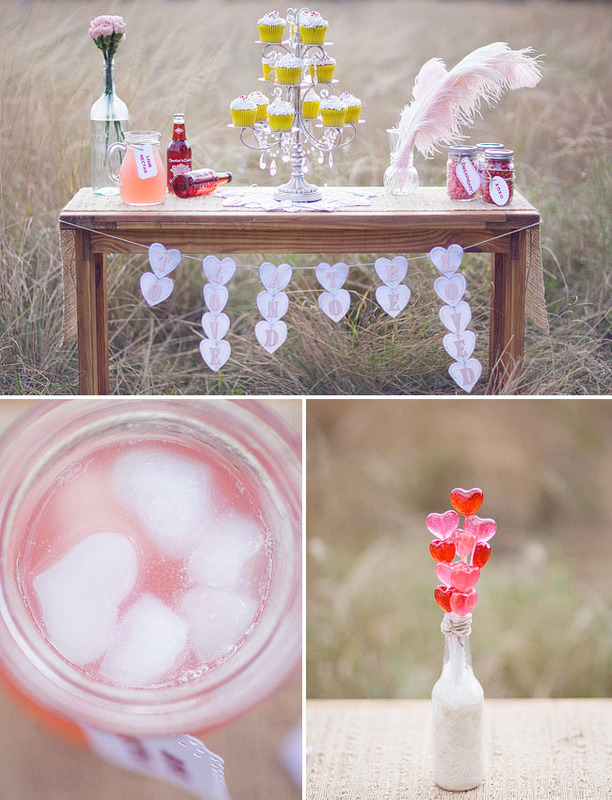 We recently did a wedding with lots of hearts as the theme. 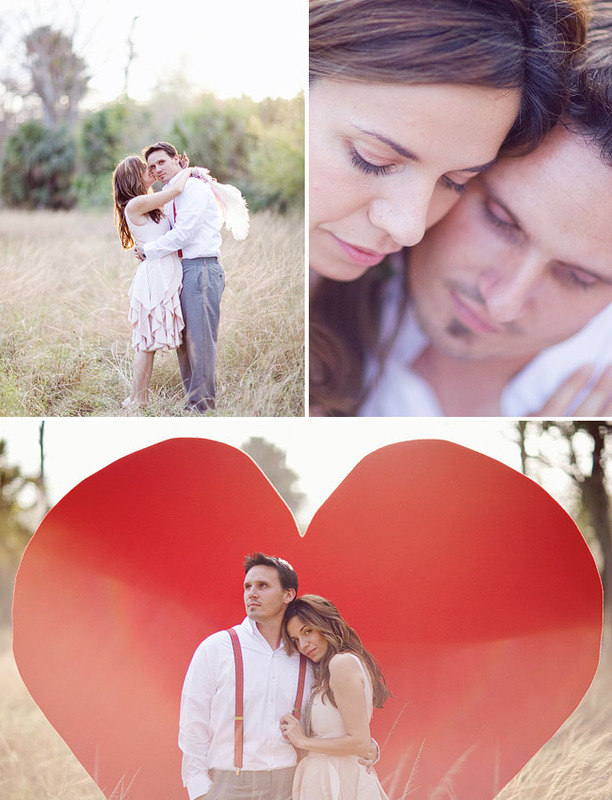 Stunning pictures, such a great use of the color red. 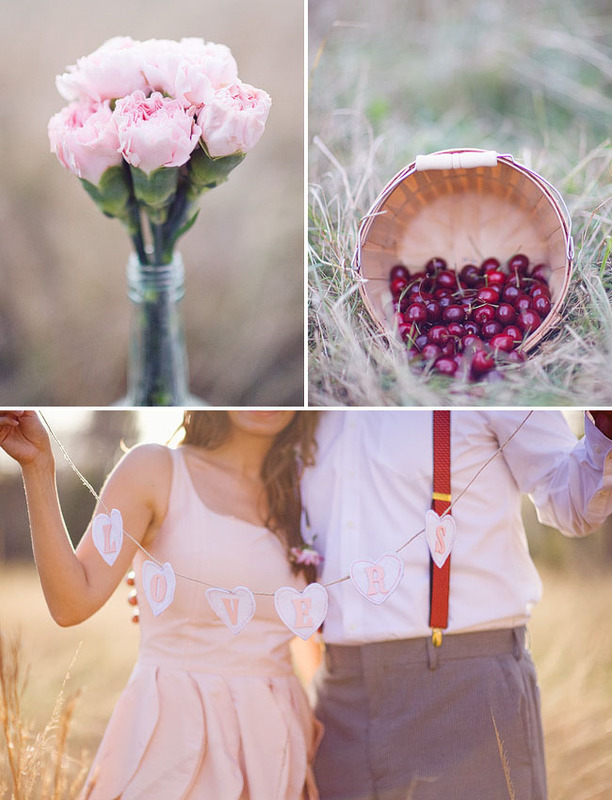 We are all about creating color and enjoy reds and pinks. Great job!